A career in practical nursing offers a competitive salary, job stability, personal enrichment, and satisfaction. According to the U.S. Department of Labor’s Bureau of Labor Statistics, employment for LPNs is expected to grow faster than the average for all occupations through 2018 due to the long-term care needs of the rising senior population. LPNs care for the sick, injured, convalescent, and disabled under the guidance of registered nurses and physicians. They provide basic bedside care, record vital signs, administer injections and enemas, monitor catheters, dress wounds, treat bedsores, and collect samples for routine tests. LPNs use their keen sense of observation to monitor patients’ reactions to medications and treatments and report adverse effects to supervisors. They assist patients with the activities of daily living, such as bathing, dressing, mobility, and personal hygiene. The Louisiana State Board of Practical Nurse Examiners allows LPNs with special training and authorization to administer prescribed medicines or start intravenous fluids. Most LPNs practice in hospitals, nursing care facilities, physicians’ offices, correctional facilities, patients’ homes, and in the public service sector. The Practical Nursing Diploma Program consists of twelve months of classroom instruction, service learning opportunities and supervised clinical training in state-licensed hospitals, nursing homes, and long-term care facilities. There are more than 30 practical nursing education programs approved by the Louisiana State Board of Practical Nurse Examiners (LSBPNE). It is important to attend an approved program to be eligible to take the national licensing examination. The program curriculum emphasizes the nursing process and incorporates the concepts of holistic treatment, prioritization of care, critical thinking, professional judgment, stress management, and caring for patients across the lifespan. Classroom instruction includes, but is not limited to, basic nursing principles, practical nursing concepts, safety and infection control, the promotion of health and wellness, diet and nutrition, pharmacology, anatomy and physiology, mental health, communication and intervention, and trends, issues, and management. Course instructors encourage independent thinking, accountability, and lifelong learning. Students must attend all the clinical sessions where licensed members of faculty direct their activities in a real-world healthcare setting. The clinical experience reinforces classroom instruction, giving students valuable insight into the daily activities of LPNs and opportunities to develop the essential skills for employment. To be eligible for enrollment, applicants must complete the school’s application form, including an admissions request to the nursing department, provide evidence of high school completion or equivalent, and pass a pre-admissions test. Applicants must cover the cost of the physical exam with lab tests, background check, liability insurance, and immunization necessary for entry into the program. Prerequisite courses include human anatomy, college algebra, psychology, English composition, chemistry, and microbiology –all with a minimum C grade. In the highly competitive enrollment process, your admission to the program will be based on your ability to meet all the school’s requirements and the outcome of a pre-admissions exam and interview. Upon graduation, the student is awarded a diploma and is eligible to take the NCLEX-PN based on the LSBPNE approval. Successful completion of the nursing education requirements does not guarantee eligibility to take the NCLEX as the Board takes the candidate’s criminal history and other factors into consideration before granting permission to take the exam. Duration and Cost of Training: Full-time students complete the practical nursing education requirements in just 12 months; part-time schedules require an additional 6 to 12 months based on the students’ schedule. The average cost of tuition is $15,500 for resident students; out-of-state students pay more. The average cost will increase by a minimum 15% for part-time students. Additional expenses include textbooks, administrative fees, course materials, lab supplies, clinical supplies, transportation, uniform, pre-admission testing, and pre-admission requirements, such as liability insurance, background screen, TB test, immunization, CPR, criminal background screening, and prerequisite courses. Sources of financial aid include WIA (Workforce Investment Act), VA (Veteran’s Assistance), Federal Pell grant, and private loans for qualifying students. Most nurses and graduate nurses are familiar with the National Council Licensure Examination (NCLEX). All Louisiana nursing graduates must pass the exam as a requirement for state licensure. The LSBPNE will determine your eligibility to take the exam after you submit an application for licensure and register with Pearson Vue online or by phone. The registration fee for the exam is $200 payable using a credit or debit card. You must enter a valid email during the registration process as all correspondence from Pearson Vue will be sent using email. You will receive the Authorization to Test (ATT) in your inbox once the LSBPNE sends approval to Pearson Vue. In it, you’ll find the personal information you submitted during registration (confirm that the information is correct, including the spelling of your name), the candidate identification number, the authorization number, and the expiration date. The ATT expiry date is critical; it represents the time you have to schedule and take the test. There is no opportunity to extend the date so make sure to follow the instructions and schedule your exam before it expires. You do not need to take the ATT to the testing center; only take an acceptable form of identification – a picture ID with your signature. The Computerized Adaptive Test calculates your grades as you progress through the exam and adjusts the questions as you answer. A passing score indicates your readiness to provide safe and competent care as a practical nurse. The Board will receive the results within 14 business days and mail your license if you pass the exam and meet all the requirements for licensure. If you fail the exam, you can retake it after 45 days. The Board will mail a copy of your Candidate Performance Report from the NCSBN, which provides an overview of your strengths and weaknesses. Use the information to prepare for the repeat exam. Repeat writers must submit another application to the Board and Pearson Vue and pay the respective fees. The Louisiana State Board of Practical Nurse Examiners defines the practice of practical nursing as the performance, for compensation, of acts in the care, treatment, or observation of the ill and for the maintenance of health and promotion of health care. Any individual seeking to practice must first obtain a license or temporary permit before practicing. After receiving a license, the LPN must practice under the direction of a licensed physician, registered nursing, dentist, psychologist, or optometrist. The Louisiana State Board of Practical Nurse Examiners (LSBPNE) will issue a license to a permanent resident or citizen of the US who demonstrates good moral character and completion of an accredited practical nursing education program and submits an application, application fee, and the required documents. LPNs, with the Board’s approval, may perform specialized tasks when directed by a licensed physician or registered nurse. Applicants for licensure by exam must pass the NCLEX before the Board issues a license to practice as a practical nurse and authorize the use of the title Licensed Practical Nurse (LPN). A completed application for licensure by examination. Complete the application fully, making sure to use your legal name and input your social security number. A 2” x 2” dated photo signed by you and the nursing education instructor. A money order for the non-refundable application fee of $100 made payable to the Louisiana State Board of Practical Nurse Examiners. Certified court documents for any arrests/criminal convictions reported. Also include a written note explaining the circumstances surrounding each conviction. Verification of your nursing education. The school should send verification automatically after you complete the program. Your registration to take the NCLEX-PN with Pearson Vue using the online submission or hotline. A request for special accommodations for the NCLEX if you qualify under the Disability Act. In accordance with state regulations, the Board may request and obtain state and national criminal history record information from the Louisiana Bureau of Criminal Identification and Information and the Federal Bureau of Investigation for any person applying for a license to practice. A completed application for licensure by endorsement. The application fee of $135, using a certified check or money order, payable to LSBPNE. Evidence of permanent residency or citizenship in the United States. Evidence of a current, valid license in good standing in another state. Evidence of practice within four years immediately preceding the application. Applicants with no work experience must complete an approved refresher course. Verification of practical nursing education. Request official transcripts from the nursing education provider to the sent directly to the Board of Nursing. A report in writing to the executive director of the Board for any diagnosis of HIV/HBV. A copy of a Board order/consent order if you answer “yes” to the disciplinary action questions. A completed applicant Form M if you answer yes to the physical health/ substance abuse questions. Also, fill out Patient Consent Form. A completed Applicant Form D if you have a history of arrest/ criminal convictions. A completed Verification of Original License (by examination) form. Complete the top portion and submit to the licensing agency in your original state of licensure. The agency should complete the form and return directly to the Board of Nursing. If you were licensed in a state that issues a compact license, you can register with Nursys to complete the verification process. A completed Verification of Additional Licenses form if you’re licensed by endorsement in other states. The board may issue a temporary work permit upon receipt of a completed, signed, and notarized endorsement application, the application fee, and a copy of your current license issued by another state. Also include a copy of your signed and dated written request to the FBI, a copy of your fingerprint card, and a copy of the payment made to the FBI. The Board requires your original birth certificate (not a copy) to issue the license. The temporary work permit is valid for a period of 12 weeks. Louisiana LPN licenses expire annually on January 31. Licensees must renew on or before the expiry date to continue practicing. Late renewals will incur a delinquent fee in addition to the license renewal fee. LPNs, who continue to practice past the license expiration, will face heavy fines and/or disciplinary actions. All renewals must be completed online, and the fee paid using a Visa or MasterCard only. After the Board reviews the submission and verifies the accuracy of the information provided, they will issue a certificate of renewal to the applicant. There’s no slowing down the demand for Licensed Practical Nurses. The healthcare needs of a growing senior population are in part responsible for the BLS’ projections of 25% growth in employment opportunities for LPNs. The mass exit of nurses approaching retirement also contributes significantly to the shortage of LPNs to address the acute care and long-term needs of the general population. Meanwhile, Louisiana’s approved nursing programs face a different struggle; there is a lack of space to accommodate the increasing influx of applicants to the nursing programs. The result is the inability to produce new nurses to meet demands and replace nurses who leave due to retirement and other reasons. When schools are able to extend their facilities and hire faculty to facilitate training, there’s a lack of space in medical facilities to accommodate students for the required clinical portion of the program. Students who gain entry into a program and successfully pass the NCLEX-PN for state licensure, have an excellent chance of employment within 3 to 6 months. While hospitals are reorganizing staff assignments and shifting LPNs to outpatient care and other areas – there may be some decline in opportunities for LPNs. However, there are numerous jobs available for LPNs in long-term care and home health care settings. 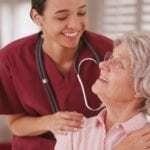 More than 45 percent of the state’s nurses work in extended care facilities attending to the needs of the senior members of society. Rural and low-income areas also provide an abundance of jobs for new and experienced LPNs. 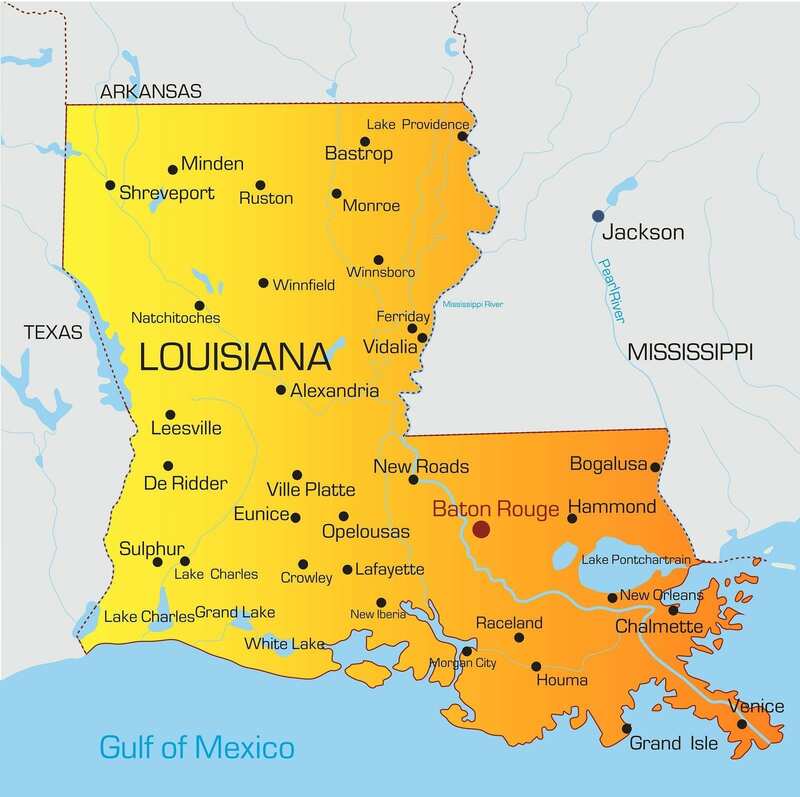 The median annual income for LPNs in Louisiana is $37,810, which is slightly lower than the national median. Do anyone know who offers nights classes u LPN IN LOUISIANA? Welcome they have a few locations, good luck! ? I wonder if Slidell location is going to offer a night class like that. What about the Hammond area? Compass career college and northshore technical community college. Do NOT go to compass career college. Think twice about becoming an LPN in Louisiana. Most hospitals treat you like crap. Yep, Cindy you are 100, they treat the cna’s worse, RN’S don’t lie, Registered Nuts.